Nerdy is the new cool, and there's no better time than now to embrace what interests you. And here's some more excellent news: if you're really, "into" something, chances are you can do it, or at least learn more about it, at the library. 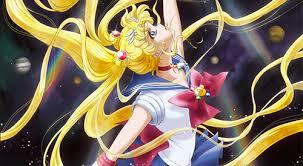 Gather with fellow anime fans and watch episodes of Sailor Moon Crystal and other great series at Gillis Teen Anime Club's viewing party this Wednesday,11/30 (4-5 pm). 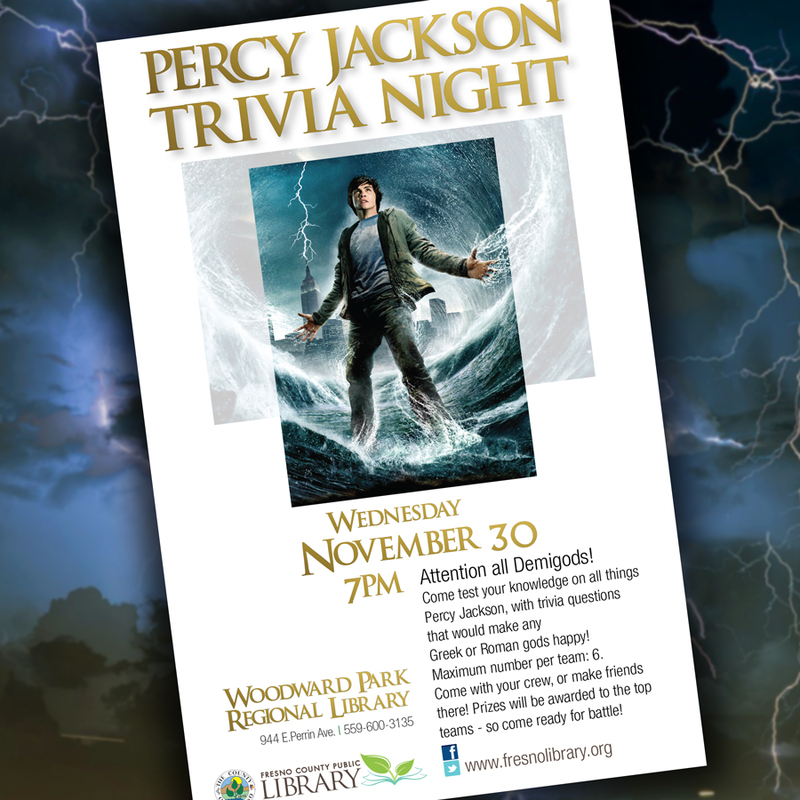 Are you the ultimate Percy Jackson fan? If so, you won't want to miss Woodward Park Regional Library's upcoming trivia night! Compete for fun and prizes, 11/30 (7-8:30 pm). Bring your own team, or join one at the event. Looking for a new adventure? 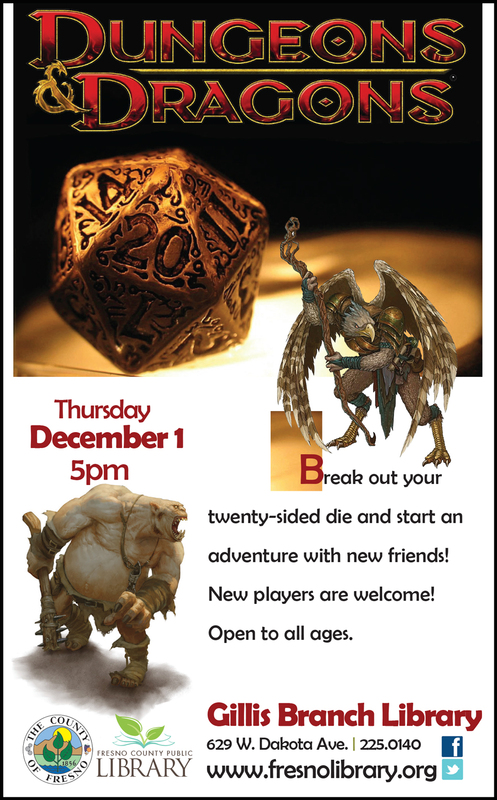 Come to Gillis branch this Thursday, 12/1 (5-6:30 pm), for a game of Dungeons & Dragons. 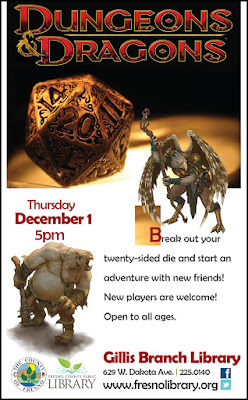 New players are welcome and encouraged to attend. Exercise your mind and expand your social circle! Also, be sure to keep an eye out for calendar listings of ongoing events, such our Annual Winter Craft, Homework Help, and Teen Activity Groups/Councils at the branches.